Welcome to the CMusic Production SAXBAND Soprano Sax Library! This single-reed instrument has been in use since the mid-1800s, when it was invented by Adolphe Sax from Belgium. An integral part of band, cinematic, classic, pop and jazz compositions today, the saxophone is here to stay. 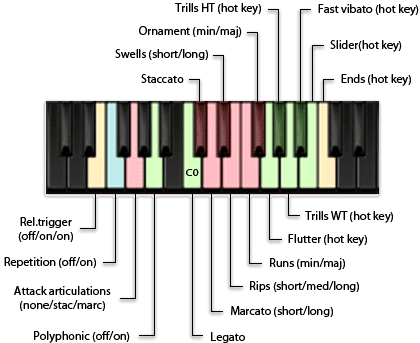 From dark and brooding to warm and mellow – or even bright and lilting, the saxophone is capable of tonality that can provide the listener with a wide variety of musical moods. 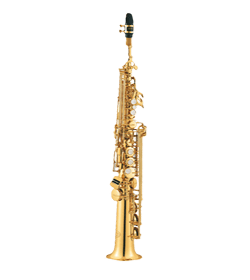 Saxband Soprano Sax Library will give you the opportunity to ascend into the rare air of saxophone notes an octave higher than its Tenor family member. This library was recorded using MID-SIDE technology (see detailed explanation). Its generous compliment of articulations, user-friendly GUI and instrument features – round-robin sampling, key-switching etc. – make creating useful and realistic compositions easy. Make it part of your musical toolkit today.